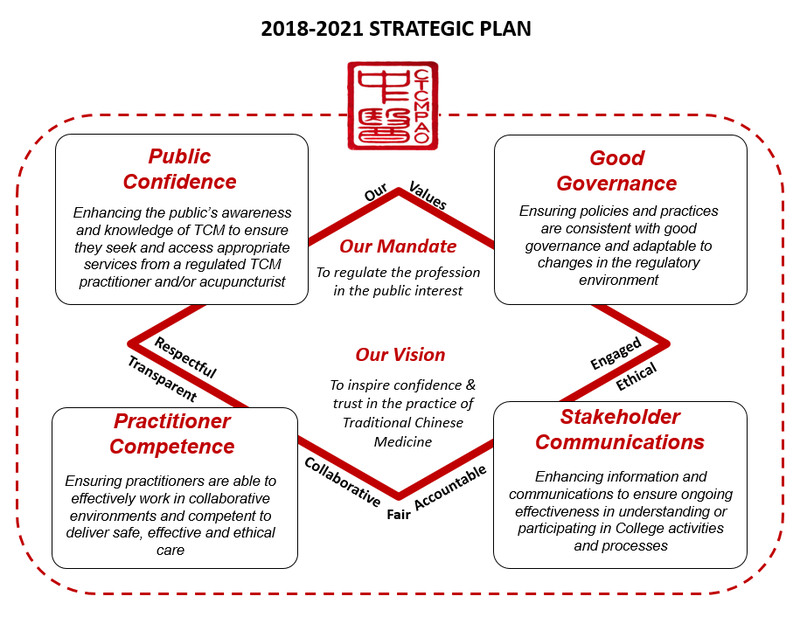 In March 2018, the College of Traditional Chinese Medicine Practitioners and Acupuncturists of Ontario held a session to update its inaugural strategic plan. The overarching aim of the day was to establish strategic priorities and key activities over the next 3+ years. The College established four strategic directions with key activities, and recognizes seven organizational values that would help the College deliver on its mandate to regulate the profession in the public interest.